If one thing is clear, is that Hitman 2 is a game many are looking forward to this year. After all, this is a sequel to 2016’s Hitman reboot, one of the best games to come out that year for sure. Aside from featuring superb gameplay, Hitman 2016 also sported a variety of detailed locations raging from Paris to Hokkaido, all beautifully detailed, in which players could exercise their trigger finger and try out different assassination methods in the game’s huge sandbox levels. 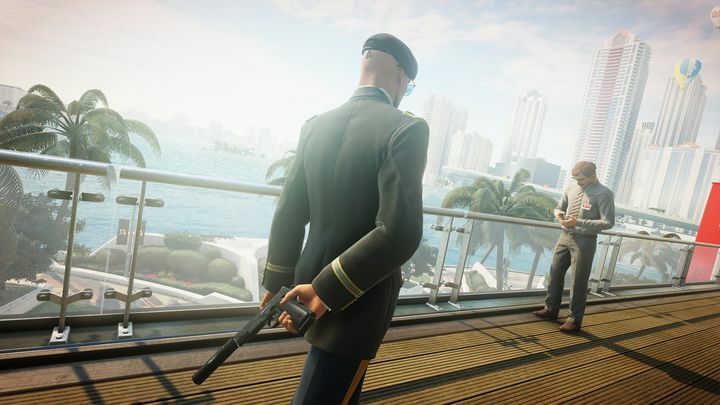 So, given how the locales have been such a great part of the Hitman experience, many will be expecting the game’s sequel Hitman 2 to also excel in this regard. And judging by the game’s E3 trailer, it’s likely the game will also sport a variety of stunning locations, including a Miami location where a vibrant motorsport race is taking place. Also, as reported on pushsquare.com, the game’s remaining locations (there will be six in total as in the 2016 game) might have leaked out already, as one Reddit user has seemingly gotten hold of a file revealing the names of IO Interactive’s planned locations for the game. Aside from Miami, these include Colombia, New Zealand, Mumbai, somewhere in the North Atlantic, and another location in the USA (the 2016 game had a level set in Colorado). It would be a great thing, then, that if these locations end up featuring in the game they are as much fun to explore and play in as those in the original game, something we’ll find out when this Hitman sequel ships later this year.